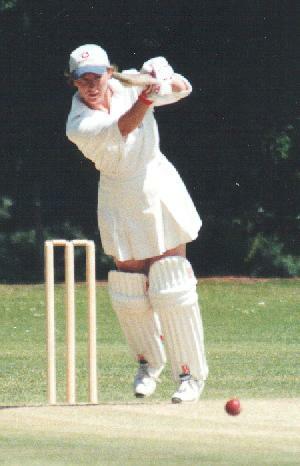 Barbara made the decision to retire from international cricket following the 2000 Season against South Africa. Her considerable experience of women's cricket at the highest level will be invaluable to her team mates in the forthcoming "Super Fours" series in the summer of 2002, where she will be captaining one of the sides. Player of the series for me in the summer of 2000 against South Africa, Barbara accumulated over 230 runs in the 5 matches at an average of 57. Her innings of 95 at Taunton was probably the second finest One-Day International innings I have seen (second only to Lisa Keightley's century at Lord's in 1998). 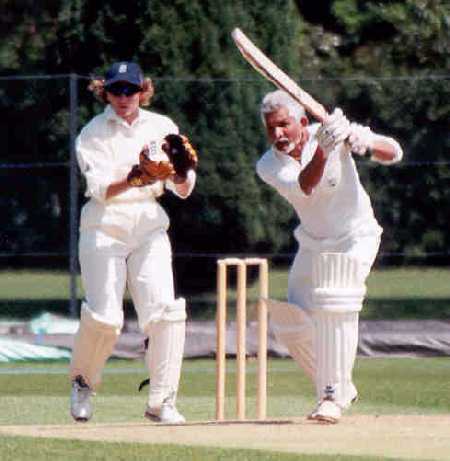 A player I have watched at both international and club level, Daniels has been England Vice-Captain in earlier years and won that position again for the series against Australia in 1998. 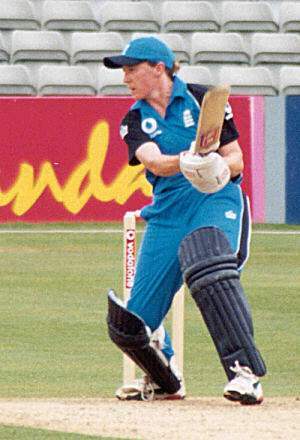 She is a top order batsman who played a major part in England's World Cup Series (and victory) in 1993. Her innings of 160 (off 268 deliveries and including 20 boundaries) in the first innings of the 1st Test against New Zealand in 1996, is the 3rd highest by an English woman in a Test Match. She was Executive Director of the Women's Cricket Association, and National Manager of Women's Cricket for the ECB. Her club, Invicta, based in Kent, won the Premier League title for 1996 and 2000. In the series against South Africa , she was player of the match in the 3rd ODI at Lord's, having scored a brisk 53. She excels as a cover fieldsman being probably the best I have watched in the women's game in this position, showing a commitment in the field sometimes lacking in one or two of her team mates. She decided to take a year away from playing at international level during 1999. Another shot from the game against South Africa at Chelmsford in 2000.